I was talking to my sister earlier today. 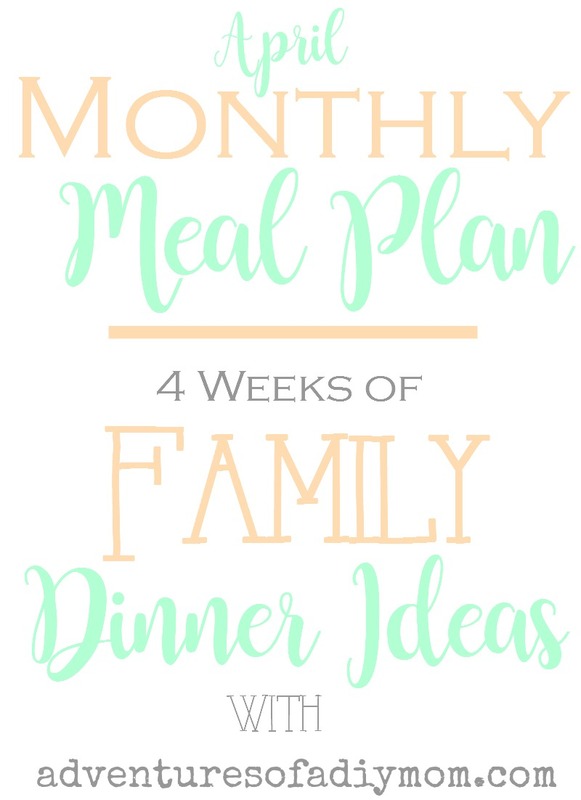 Among other things, we talked about dinner and I realized I hadn't shared April's menu yet. She gave me a few easy recipes, that will be showing up on my meal plan next month. But for now, here's my April Menu Plan. This month's tip: Be flexible. 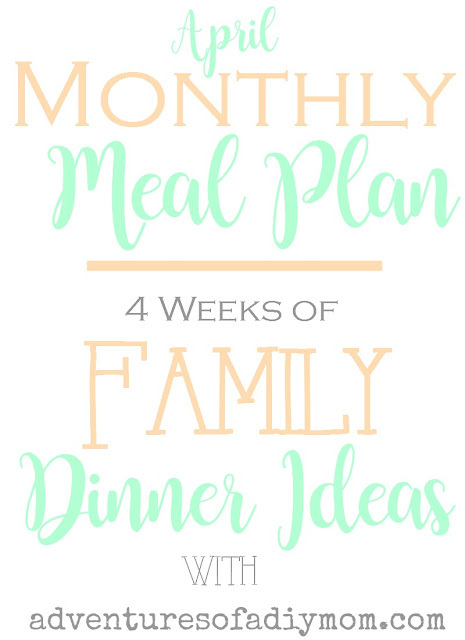 Just because you've planned ahead and created a menu doesn't mean that things won't come up. Sometimes I forget to thaw meat. Other times there is unexpected activities or sickness. On those days, I just swap meals with another day of the week. As always I have included the main dish, but for a complete meal, you will need to add your favorite veggies and sides. For almost all of the meals, I have included links to the recipe. Just click on the meal to be taken to the recipe. If there's not a link, it's because I feel that it's easy or basic enough that you probably know how to make it. However, I would love to answer any questions you may have. Please ask!